The new carbon fibre bodywork, fixed rear wing and large rear diffuser extends the silhouette by 74mm. This delivers substantially increased downforce to enhance the dynamic experience especially on track. 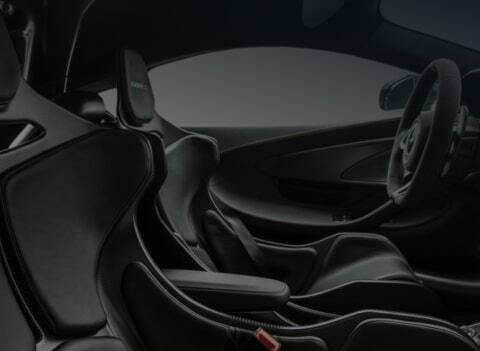 For the driver, the result is an incredibly pure and confidence-inspiring connection with the 600LT. The McLaren 600LT features an exhaust system even more extreme than that of the McLaren Senna. Mounted literally over the drivers shoulder it brings the incredible sounds of the powertrain right into the cabin. And because the exhaust plume changes shape with throttle angle and vehicle speed, the position within the rear deck and the exit angle of the twin stainless steel pipes has been optimised to work with the fixed rear wing. Directly behind the front splitter is a new carbon fibre floor. Not only lighter and stiffer, it features subtle blades to generate downforce. And set within this flat floor are two new intakes. They channel additional cooling air onto the front brakes, to meet the higher braking loads generated by the increased speeds and performance of the McLaren 600LT. The exact shape of the intakes has been carefully tuned to not direct excess airflow into the front wheelarches. This reduces air pressure in the wheelarches, and minimises the flow of turbulent or dirty air along the sides of the vehicle. Vehicle drag is cut, and powertrain cooling is improved. The McLaren 600LT is the most powerful Sports Series ever created, producing 600PS and 620Nm from its twin-turbo 3.8-litre V8. The engine features dry sump lubrication that allows for higher cornering speeds without oil surge. A race-inspired flat-plane crankshaft enables the V8 to be mounted as low as possible to improve agility and handling. 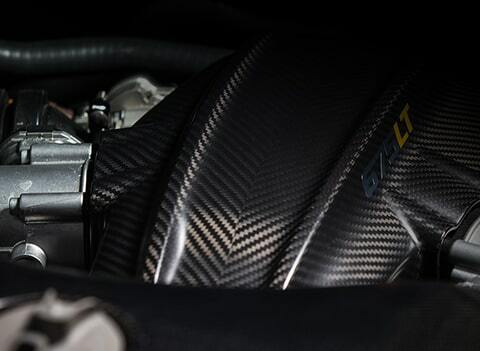 The powertrain breathes more freely due to enlarged side air intakes and reduced back pressure from an exhaust system that is even shorter and more extreme than that of the McLaren Senna. The result is an incredible engine that responds instantly to your every input. The heart of the 600LT is a lightweight carbon fibre chassis as it has been with every McLaren since 1981. We are the only company within the sportscar segment to offer this construction technology. The unique MonoCell II tub is incredibly strong and this structural stiffness improves handling, agility and ride comfort. 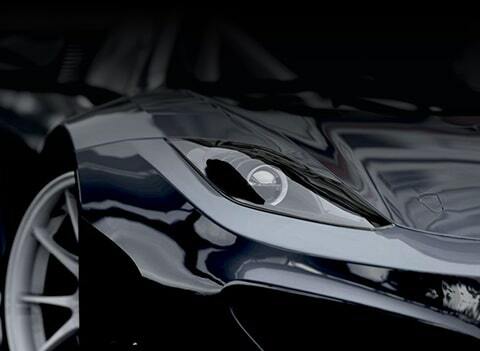 The same light, stiff and strong composite material is used for the special aerodynamic bodywork of the 600LT. The aggressive front splitter and front floor, revised side sills and extended side intakes are all constructed from carbon fibre. So too the fixed rear wing, elongated rear bumper and wider and deeper diffuser. Everything that can be made lighter, has been made lighter.